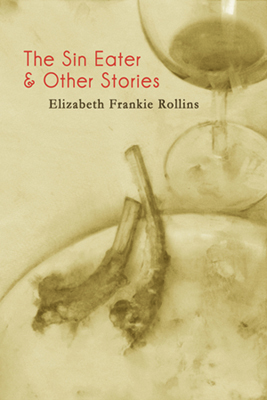 In the vein of Aimee Bender, Kevin Brockmeier, and Amelia Gray, Elizabeth Frankie Rollin’s debut collection The Sin Eater & Other Stories (Queen’s Ferry Press 2013) tight-ropes the line between domesticity and apocalypse. A wife allows the plague to infect her household, an adulterer hires a Sin Eater to absolve his guilt, a photographer captures Death in a buttoned coat and Want lifting handfuls of snow to his mouth… a collection of ghosts, of the uncanny, of the familiar defamiliarized, The Sin Eater & Other Stories makes everyday reality fascinating by—in the words of Robert Scholes—revealing the imaginary catastrophe that lies behind it. There are a few things I would like to say to you directly—without the artifice of being an objective book reviewer, which I’m not. I love words and art too much to ever feign objectivity. The Sin Eater & Other Stories is the best collection of short stories I’ve read all year. Period. Though Saunders’ Tenth of December has been in my clutches for seven weeks, I stopped everything and read your book from start to finish in two sittings. I look longingly into my cat’s eyes and think: I would let you in my home, too, even if you carried death and annihilation. Some of the stories that haunt me are the ones I least suspected. I hated the woman in “The Girlfriend” until I began to see in myself her secret desire to be cherished for her flaws. I came to this book in the aftermath of a breakup. These stories aren’t all about breakups, but they are about the Appeal of Chaos in the midst of living. The willing embrace of death and destruction—the letting go that follows. Your heartbroken characters helped heal my broken heart. “I wish I had let the cat in by accident, but I didn’t.” The admission and ownership of a misstep. The misstep meaning both the end and the beginning. There is so much complexity in this simple sentence. What if I dial the Sin Eater’s phone number? Will she help me forget everyone except myself, as she does for the adulterer? The Magic Paradox: magic can kill or regenerate its visitors—you never know which. I didn’t expect “Frances, Upstairs” in this collection. I loved the surprise. 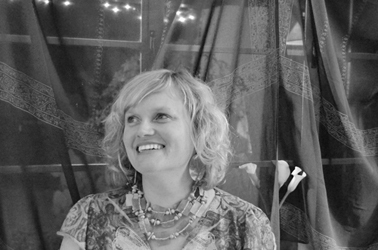 “…what I always think about when I think about my own death is that there will be no one who says, this was the heart of her.” Not even her husband. This is the tragedy of human existence. This is why stories matter. “Hallucinating and passing out in the grass seem to be clear examples of ways in which I am inappropriate about life.” Your humor is enlivening; your syntax is punchy and flawless. That you’re a beautiful, varied stylist. Every story has its own atmosphere. I hope to teach “Tail”; everyone should read it; I remember feeling—after reading this story, after sitting in an airplane for five hours—happy yet to be alive. Isn’t it strange how thoroughly strangers care for one another? “The sound of her steady sleep keeps me awake for hours.” Oh, how we trap ourselves in our own private hells. Boredom doesn’t even begin to pierce the skin of it. I tried (unsuccessfully) to mimic the structure of “This Boy in History.” I hope you don’t mind. I’m in awe of your technique. One last confession: I am a vigilant crusader for the grand metaphor. A metaphor like the one in “Tail” or “Ruin,” in which anxiety surfaces due to a lack of meaningful communication, and makes reality suddenly unreal. It’s in your subjective realities that the audacity of the mundane comes alive. Thank you for these touching, magical stories. It’s so easy for a writer to become disillusioned with words, or to get lost in the trickery. These stories, quite simply, have heart. You don’t know how true this is.